- Fashion Ecstasy on 十月 11, 2018. This year, in addition to reviving history and ancient times, we see an emerging atmosphere combining classic and modern, east and west. 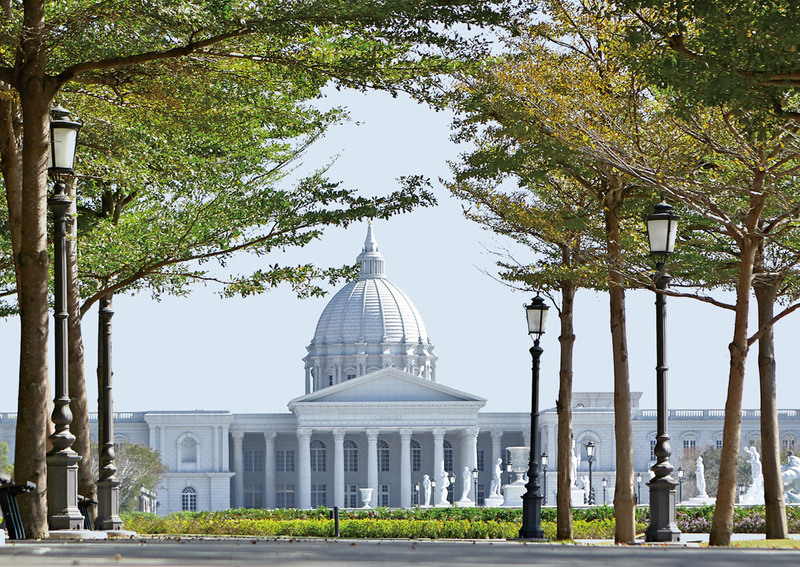 Covering some 9.5 hectares, the magnificent Chimei Museum’s European-style building is visible from afar. Founded by Xu Wenlong, Chimei Museum was originally a private museum in Taiwan and was donated to the Tainan Government in 2012. Chimei Museum’s new doors opened to the public on New Year’s Day in 2015; the new building is located in the second section of Wenhua Road. The museum has a collection of over 4,000 pieces of Western art, musical instruments, weapons, animal display, and fossils. The not-to-be-missed violin exhibition hall on the second floor is where the violin production materials, tools, and violin history are showcased. The founder once said: “This museum will always exist for the public.” We sense the satisfaction and surprises in the eyes of the visitors. The first floor seems busy. 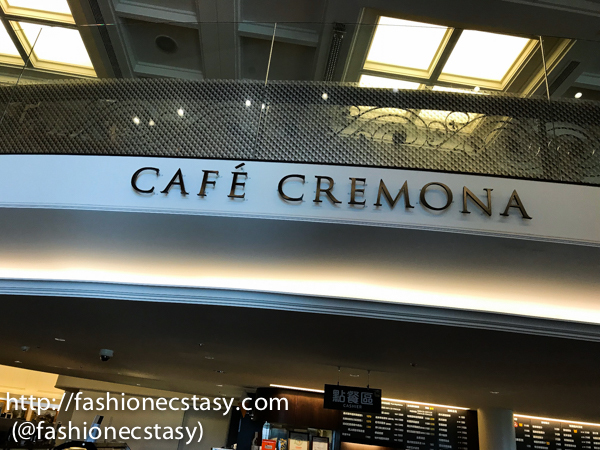 Besides lining up for tickets to the museum, many are waiting to get into Café Cremona, a restaurant/cafe located on the first floor of Chimei Museum. Cremona is a city famous for its art town located in the north of Italy, southeast of Milan. I did my master’s in Milan, so I was intrigued. I had to try the food they served, or even feel the air. As the name suggests, Café Cremona’s menu consists mostly of Italian cuisine. The Café is mostly self-service. After self-seating, diners can order food at the counter. 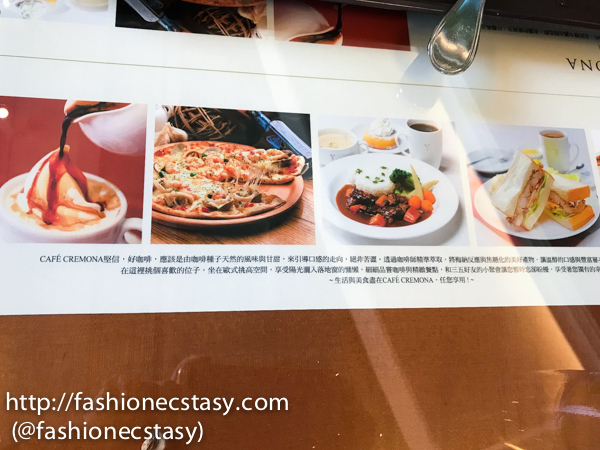 At Café Cremona, you won’t find Tainan traditional snacks such as coffin board, Danzai noodles, or potside sticker soup, but various Western-style food items, including Italian pizza, continental sandwiches, set menus, hot and cold drinks, etc. We arrive at the restaurant at noon, during which time the cafe only serves items such as chef specials and pizzas. Sandwiches are served during afternoon tea. Chef’s specials can be ordered à la Carte or with a set. The set menu includes the main dish, dessert, and a drink. The main course includes beef, chicken, fish or vegetarian. In Italy, an order of pizza (usually thin-crust) feeds one. The pizza here at Cafe Cremona comes with your choice of a Coke, Sprite, Lemon Black Tea or Fanta. Bring your own cup for an NT$10 discount, and beverage refills enjoy 50% discount. The “Ice” items here include ice cream, popsicles, and crushed- ice. Ice cream is 120 NT for a scoop and 200NT for 2. The “Chi Mei Popsicle” is made of natural fruit without additives; the popsicle sticks are a limited edition and exclusive to the museum, which can be used as a bookmark. It is quite creative.